Current-day medical practice relies increasingly on technology. You can think of imaging the inside of your body with MRI or CT, solving heart problems by placing artificial valves, or measuring stress to avoid a burn-out. Many disciplines are involved to realise these devices: microelectronics, information technology, mechanical and material engineering. As a biomedical engineer you have knowledge of all these fields of expertise and you apply it to develop new devices; from ever more advanced imaging instruments to scaffolds for tissue engineering; and from sensor systems to new implants and artificial organs. Commonly, you work in multidisciplinary teams with medical doctors, engineers, biologists and of course patients. If you are interested in health care and technology, the Master's programme Biomedical Engineering offers you the opportunity to gain in-depth information on a broad-range of topics. You will study topics in the fields of imaging techniques, physiological control engineering, rehabilitation engineering, implant engineering, cell and tissue engineering and infection prevention, as well as aspects of medical ethics and law. You also become well-versed in medical and biological basic knowledge. 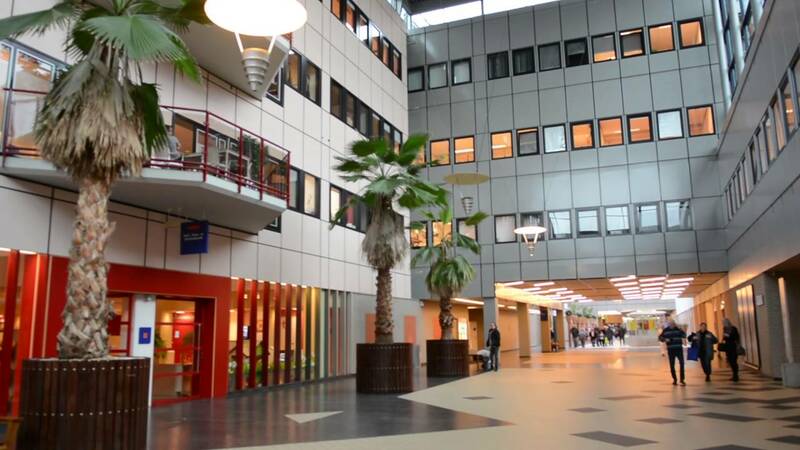 In addition, the University of Groningen offers you state-of-the-art medical facilities and a unique professional cooperation with the University Medical Center Groningen (UMCG). We also offer a European Master in Biomedical Engineering, with available scholarships. This joint project is organized between six European universities. Students will start the programme at one of these universities and will spend at least one year at a partner university. The programme has three tracks, of which you have to choose one. All courses are compulsory. Each track in the BME programme offers track-related courses, in addition to general BME-courses that are shared amongst the tracks. All tracks include an internship at the end of the first year and a master's project at the end of the second year. Internships and master's projects can be conducted at the University Medical Centre Groningen (UMCG), or companies or hospitals in the Netherlands and abroad. The track Medical Device Design deals with the design of innovative Medical Devices that will contribute to prevention of health decline, to better diagnostics and to better therapy. Medical devices are more and more key in improvement of health care quality, but also in realizing a sustainable health care in terms of money and manpower. For prevention of health decline, sensor systems will be designed to allow citizens to self-monitor their health condition (e.g. their stress and sleep condition); intervention systems can be designed to improve the condition of citizens (e.g. via a balance and muscle-strength trainer). ICT plays an important role in gathering and processing sensor data and advising the best interventions for an individual using self-learning decision support systems. For improved diagnostics, innovative diagnostic instruments will be designed that are smaller, faster, more accurate, or cheaper. New technologies will be applied that make entire new instrumentation possible. For improved therapy new or improved implants (e.g. bone plates), artificial organs (e.g. heart assist pump) and prostheses (e.g. exoskeletons) will be designed. The first focus lies on the design of implants and artificial organs. During the courses Interface Biology and Biomaterials 2 the student gets familiar with biomaterials, and how their properties influence cell response. Engineering & Biotribology will prepare the student for artificial joint design and for applications where friction and wear plays an important role. Based on this knowledge, a well-considered choice of biomaterials will be made for specific applications. The second focus lies on the design of external prosthetics and orthotics. The courses Prosthetics & Orthotics and Neuromechanics advance the students' knowledge on the topics of prostheses design and their (neuro)mechanical functioning. The third focus lies on the design of sensors, controlled devices, robotic systems and instruments. The courses Control Engineering, Mechatronics and Robotics introduce the students to the topic of robot control and advance their knowledge throughout the courses. Mathematical programming plays an important role during these courses. The course Biomedical Instrumentation 2 informs the students about current diagnostic devices, their possibilities and limitations. General courses support all three themes: Matlab for BME, Product design by FEM, Statistical Methods for BME, Technology & Ethics. At the end the students that followed the track MDD will be optimally prepared for internships in the first year of the Master's and Master's project in the second year of the Master's. After graduation, the student is ready to function as a respected colleague in both academic and corporate world. This track is concerned with the design, development, analysis, assessment and application of innovative biomaterials for body function restoration and enhancement of implant efficacy. The first focus is on the characteristics and application of biomaterials in modern medicine (Biomaterials 2). Special emphasis is given on the physico-chemical surface characteristics (Surface Characterisation) and the related lubricating, chemical, colloidal and mechanical properties and technologies (Engineering & Biotribology) . The second focus is on the biology of the biomaterial interface with human tissue. (Interface Biology) It addresses the foreign body reaction against implanted biomaterials, and emphasizes the effect of biomaterial surface characteristics on tissue integration and cellular response (Colloid and Interface Science), both having impact on tissue engineering, regenerative medicine, drug delivery and diagnosis. Special attention is given to microbial biofilm formation causing infection during biomaterial applications (Biofilms). The third focus is hands-on experience where theory is put to the test and connected to future developments. It first entails a practical lab-training, in particular on the characterization of biomaterials and the use of sophisticated lab instruments (Integrated Lab Course in Biomaterials). A training in multidisciplinary and integrative analysis of recent biomaterial literature will provide insight in the route towards clinical application and further stimulate independent thinking and a critical attitude in science and engineering (Recent Developments in Biomaterials). During the curriculum, various general academic and research qualities are taught as well as creating independent thinking and critical assessment of developments, which also provide a solid basis for any R&D related career. General courses support all three themes: Matlab for BME, Optical Imaging, Statistical Methods for BME, Technology & Ethics. At the end the students that followed the track BSE will be optimally prepared for internships in the first year of the Master's and Master's project in the second year of the Master's. At every stage, integration between knowledge and practice will be performed as knowledge in both industry and academia is taught through experimental approaches founded on well-structured and formulated questions and research design. A special feature of the Master's programme is the option to train yourself as Entrepreneur by following an additional (extracurricular) course on Entrepreneurship and a summer school. It is initiated by the European Institute of Innovation & Technology (EIT) and trains students to be the next generation of Biomedical Engineers for developing innovative medical devices with a European, intercultural view and prepares them to become an entrepreneur. In the track Diagnostic Imaging and Instrumentation the student learns the underlying principles and the instrumentation used in current diagnostic imaging and therapy. The first focus is Radiology. The discipline of radiology focusses on the medical specialty that aims to obtain diagnostic information by imaging techniques and treatment of patients by using minimal invasive procedures under image guidance. Apart from imaging techniques that use ionizing radiation (computed tomography, radiography, angiography, mammography), also ultrasound and magnetic resonance imaging can be used. The physical principles will be taught during the master, and during projects you will be able to work together with medical physicist on the optimization of these techniques in order to improve patient comfort and care. Dedicated courses are: Magnetic Resonance Physics, Conventional X-ray Imaging and Ultrasound, and Computed Tomography. The second focus lies on Nuclear Medicine. This is the medical specialty that performs diagnosis and therapy using radioactive substances administered to a patient. During radioactive decay, radiation is emitted which can be measured outside the body. This enables the assessment of the 3D-distribution of the so-called radiotracers in the body, if necessary as a function of time. The strength of nuclear medicine is that this distribution is a function of the underlying physiological processes i.e. differences in uptake reflect differences is physiology which allows the visualization and quantification of diseases. Dedicated courses are: Physics in Nuclear Medicine. The third focus lies on Radiation Oncology. This is the medical practice of treating patients with cancer using ionizing radiation. Medical physics for radiation oncology is engaged in this practice to optimize and deliver the dose distribution safely according to prescription with a required high accuracy. This involves accurate dose calculation, dose delivery and dose measurement techniques, and various forms of medical imaging. Dedicated courses are: Medical Physics in Radiation Oncology. General courses support all three themes: Radiation Physics, Statistical Methods in BME, Matlab for BME, Technology & Ethics and Biomedical Instrumentation 2. Students also follow the course Interdisciplinary Project to learn to work in a multidisciplinary environment and to combine design and research skills. At the end the students that followed this track will be optimally prepared for internships in the first year and the research project in the second year of the master. After graduation, the student is ready to function as a respected colleague in both academic and corporate world. The European Master Programme Biomedical Engineering (CEMACUBE) is a joint project between six participating universities. The programme offers scholarships. Participating universities are: The universities of Groningen (the Netherlands), Aachen (Germany), Dublin (Ireland), Ghent and Brussels (Belgium) and Prague (Czech Republic). CEMACUBE students follow to a large extent the same programme as regular students. The main difference is the programme in the first year. A mixture of courses of the tracks is offered in order to provide the students with a general first year content, which is equal for all participating universities. After the first year CEMACUBE students have to move to a different university. Exchange: All our science and engineering programmes offer possibilities to study abroad at a number of partner institutions. Our partners include top-100 universities in Europe (for example in Germany, UK, and Sweden) and in the USA, China, South-East Asia, and South America. Our exchange programmes have a typical duration of one semester and count toward your final degree. An academic Bachelor's degree in biomedical engineering, or in Life Science & Technology majoring in Biomedical Engineering, or in Physics, majoring Life and Health. Applicants holding a university's bachelor degree in Human Movement Sciences, or a non-university bachelor's degree in Electrical Engineering, Mechanical Engineering, etc., may be admitted, but they may first be subjected to an individual premaster programme of about 45 ECTS. This is merely an indication of required background knowledge. The admission board determines whether the specific contents of this/these course(s) meet the admission requirements of the master programme for which you applied. You may apply with a Bachelor's degree in Life Science and Technology, majoring in biomedical engineering. An academic Bachelor's degree in Biomedical Engineering, Physics or a similar relevant degree. This is merely an indication of required background knowledge. The admission board determines whether the specific contents of this/these course(s) meet the admission requirements of the master programme for which you applied. After completion of the Master's in Biomedical Engineering, there are numerous employment possibilities. The multidisciplinary nature of Biomedical Engineering adds significantly to employment possibilities in both research, design and management-oriented jobs. * In the industry a BME alumnus can become a member of the R&D-department, work on new product development or improve existing ones. In large companies biomedical engineers are educated to organize clinical trials in hospitals. * In universities or research institutes a biomedical engineer can work as a PhD-student for 4 years on a scientific project, e.g. evaluation of new diagnostic imaging techniques or implant prototypes. Another possibility as PhD-student is to work on the application of new therapeutic techniques in oncology or design of new prostheses. * In hospitals a biomedical engineer can work as a safety officer to increase patient safety by introducing training sessions for using new diagnostic tools or new artificial organs. * Government organizations can hire BME alumni to work on certification of new medical devices, new Master’s programmes, or new legislation. * When you follow the Diagnostic Imaging & Instrumentation track, you are eligible to start a post academic training in Medical Physics. As a medical physicist you are a clinical specialist in health care with practical knowledge of physics and technology. You are responsible for the safe and responsible introduction of new and existing medical equipment and technology for optimization of diagnostic imaging and treatment. Medical Imaging focuses on the visualisation of structures and processes within the human body. It ranges from the visualisation of metabolic processes within a cell, up to the measurement of electrical activity in the cortex. Nowadays, a wide variety of imaging techniques is used, such as X-ray and CT, MRI, PET and ultrasound cameras for the medium and large scale (down to 1 mm). Different types of optical and electron microscopes cover the range toward micrometre or even nanometre scale. A further topic is radiation therapy. Medical Instrumentation is concerned with non-imaging equipment and control systems. Examples include surgical technologies, anaesthesia equipment, non-invasive diagnostic equipment using light, and instruments for the measurement of parameters of body functions, as used in an intensive care environment. Other important topics concern modelling of physiological processes and the physiology of bioelectrical phenomena at the cellular or organ level, such as in muscle tissue or the neural system. To restore body functions, research and design is performed on implants, artificial organs and prostheses. For prevention of health decline, sensor systems can be designed to allow citizens to self-monitor their health condition (e.g. their stress and sleep condition); intervention systems can be designed to improve the condition of citizens (e.g. via a balance and muscle strength trainer). ICT plays an important role in gathering and processing sensor data and advising the best interventions for an individual using self-learning decision support systems. For improved diagnostics, innovative diagnostic instruments can be designed that are smaller, faster, more accurate, or cheaper. New technologies can be selected that make entire new instrumentation possible. To realise a high quality implant, all of these must be biocompatible, which means that they are accepted by the body and do not evoke a rejection reaction. Interactions between body cells and biomaterials therefore are an important field of study. Biomaterials can also be biodegradable, which means that they are slowly broken down into harmless substances in the body. At present, new tissue engineering techniques for the restoration of tissue structures are being developed. Can there be anything more useful and rewarding than applying our knowledge from science and engineering to help other humans recover from disease and injury? I love Biomedical Engineering because it combines my passion for crafts and engineering with my interest for medicine and the human body. I graduated from my Bachelor's degree in Germany, but decided to move to Groningen because of the English-taught Master's degree programme BME with a specialization in prosthetic and implants. This programme includes a 10-week internship. Thanks to YouTube, I accidentally stumbled upon an Indian start-up company, which produces cost-effective lower-limb prosthetics from cane. I was so impressed by the idea of using natural, cheap, lightweight and locally produced materials to help amputees that I applied for an internship there. For almost three months, I lived in Bangalore and worked on a 3D scanning project to facilitate and speed up the production of the sockets for prosthetic legs. Living the Indian culture and getting to know so many individual stories made it a once-in-a lifetime experience!